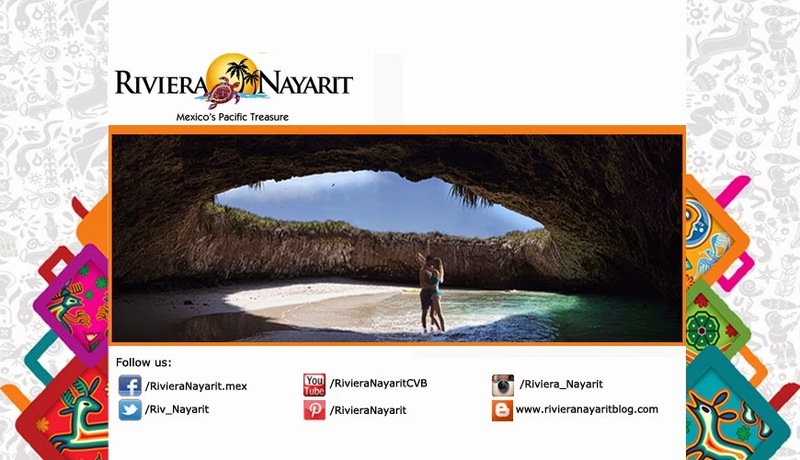 Riviera Nayarit Mexico Blog: OUR SOCIAL MEDIA, STAY IN TOUCH! OUR SOCIAL MEDIA, STAY IN TOUCH! One of the best ways to stay in touch with us is through our social media accounts. At the Riviera Nayarit Convention and Visitors Bureau we’re constantly updating everything to provide you with the most recent and precise information in real time, so you as a travel agent can offer your client the best of our beautiful destination. And, as you know, the Riviera Nayarit is composed of several micro destinations, none of which are in the state of Jalisco, including Nuevo Vallarta. These micro destinations include the aforementioned Nuevo Vallarta, Flamingos, Bucerías, La Cruz de Huanacaxtle, Punta de Mita, Higuera Blanca, Litibú, Sayulita, San Francisco, Lo de Marcos, Los Ayala, Rincón de Guayabitos, La Peñita, Bahía de Matanchén, San Blas, Isla de Mexcaltitán and Playa Novillero.